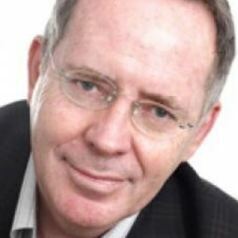 Professor Peter Whiteford of the Crawford School of Public Policy at the Australian National University previously worked at the Social Policy Research Centre at the University of New South Wales. He has had extensive professional experience in the field of social security policy and research, in a range of different national contexts and at the international level. He worked as a Adviser in the Office of the Minister for Social Security in 1995-96 and previously as a Consultant to the Social Security Review and in Government Departments in Australia, as well as in University research centres in the United Kingdom and in Australia, and for the Organisation for Economic Co-operation and Development in Paris between 2000 and 2008. In July 2008, he was appointed by the Australian government to the Reference Group for the Review of the Australian pension system, and in 2009 he was an invited keynote speaker for the Australian Treasury Conference on reform of the Australian tax system. Australian National University, Litt. B.